The Conservative Party chairman, Grant Shapps has openly threatened funding for the BBC in an interview with the Sunday Telegraph. In a move that apparently has the backing of Downing Street, Mr Shapps floated the possibility of a major shakeup in the license fee when the Royal Charter comes up for renewal in 2016, though of course the Conservatives would have to survive a general election before then. 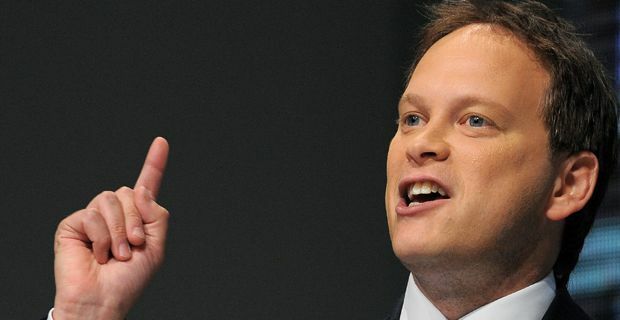 In what will be considered in many quarters as a self serving attack on press freedom, Mr Shapps wheeled out two major issues with public currency as a stalking horse for a far more sinister and disturbing agenda – the bullying of journalists by the state. He referred of course to the Saville enquiry and the maelstrom of abuse allegations surrounding the likes of Stuart Hall and Dave Lee Travis. And he also took issue with another unfortunate aspect of the BBC management structure, excessive executive pay. But far more menacing was his assertion of BBC ‘bias’. He took particular issue with the journalist Mark Easton who had highlighted a European Commission report that questioned the Tory claims of ‘benefit tourism’ by finding that migrants were net contributors to the tax take. Saying such things in the same breath as a discussion of the license fee can only really be seen as an attempt to intimidate the organisation. The Conservatives have form with the BBC, not least because they are extremely cosy with its private sector rivals, but the right has ideological grievances with the idea of a state broadcaster. That and the fact that no government takes criticism well, but Labour would have problems with their core support if they took on the BBC too enthusiastically, while the Conservatives are playing to their base. Either way, it is an unfortunate day for free speech. If Mr Shapps had opened an honest debate on the role of the license fee and public service broadcasting in a digital age, that would have been one thing. But accusations of bias and a rattling of the purse strings....that’s quite another.